The Vancouver Condo Buzz » SPECTACULAR LAUNCH > Granville at 70th Vancouver Condo Towers by Westbank from mid $400’s > West Side Vancouver Granville & 70th Condominiums, Townhouses, Cornish Estates > 2 Towers, Spectacular Townhomes & Safeway > REGISTER NOW! « COMING SOON > New Greater Vancouver Real Estate Projects to Look Out for in Spring – Summer 2012! SIGN UP for A CHANCE at VIP SALES! 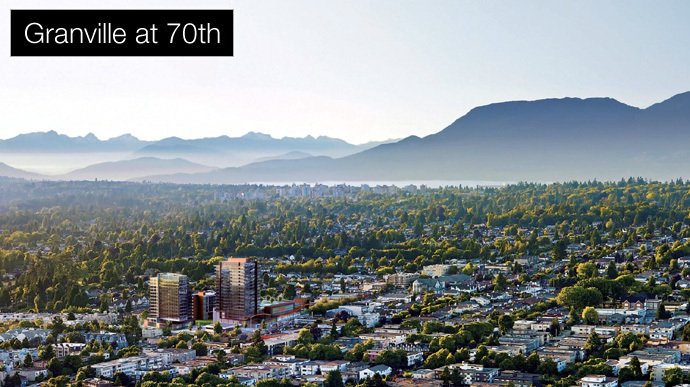 SPECTACULAR LAUNCH > Granville at 70th Vancouver Condo Towers by Westbank from mid $400’s > West Side Vancouver Granville & 70th Condominiums, Townhouses, Cornish Estates > 2 Towers, Spectacular Townhomes & Safeway > REGISTER NOW! A new perspective. 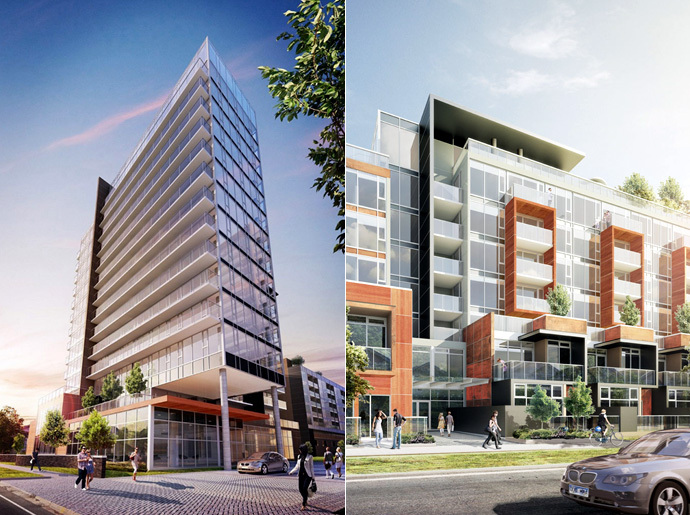 Two landmark towers will reign skyward and change the landscape of this part of Vancouver. 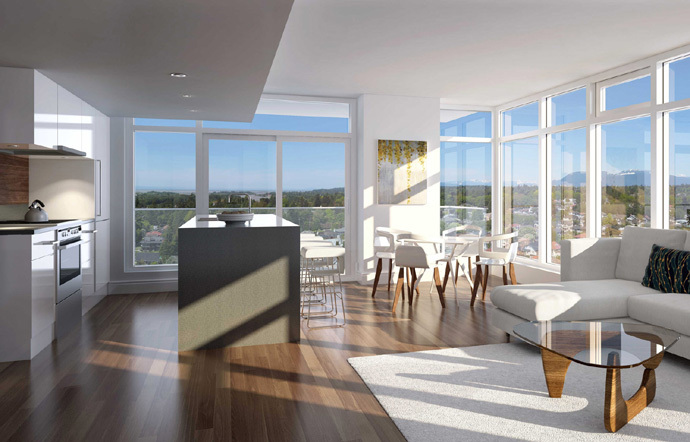 Offering spectacular views and high-end interiors, the new Vancouver Granville at 70th Condo Towers by Westbank Project Corp is now underway and launching presales Spring 2012. The Granville at 70th Vancouver Condos by Westbank Project Corp will feature condominium residences in mid and high-rise towers in addition to spectacular multi-level street-side homes that offer an intimate style of living in the heart of the city, all amidst beautiful lush gardens and professionally designed boulevards with mature tree lined streets. The community of Granville at 70th Vancouver real estate development is defined by a host of vibrant features including live green walls, rooftop gardens and beautifully designed and planted green spaces on site. In addition, the preconstruction Vancouver Granville at 70th condo towers will present on site amenities that rival the best and will include resident use only media room, sauna, steam rooms and The Granville Club fitness centre. Add to it a putting green, entertainment clubhouse lounge both inside and out and an outdoor yoga pavilion, and you have Vancouver real estate’s most anticipated project of 2012. This is Granville at 70th Vancouver condo towers and townhouses by Westbank Project Corp. Not only is the master planned 70th and Granville Street Vancouver condo project a residential master piece, but Westbank Developers is also anchoring the site with a new deluxe Safeway grocery store and additional boutique retail space on the ground level and podium. The offering at the Granville at 70th Vancouver condo towers will introduce one bedrooms, one and den layouts, 2 bedroom and 2 bedroom+flex condominium homes that are catered to professional singles and couples. In addition, the Westbank Granville at 70th Vancouver real estate development will also feature spacious 3 bedroom and flex floor plans as well as 7 penthouse suites that are geared towards families, upsizers and downsizers. Inside, home buyers will find sleek high end finishes/features as well as Miele European style appliances. The show home is now available for previewing, so please register with us for the latest details about the VIP Sales Launch. The new Vancouver Granville at 70th Condos and Townhouses will start from just $454,000 for 1 bedrooms with 2 bedrooms starting from $685,000. The marketing is by New Asia Realty Inc. Completion is slated for early to mid 2014. The developer for the new Granville and 70th Vancouver real estate development is by Westbank Project Corp. 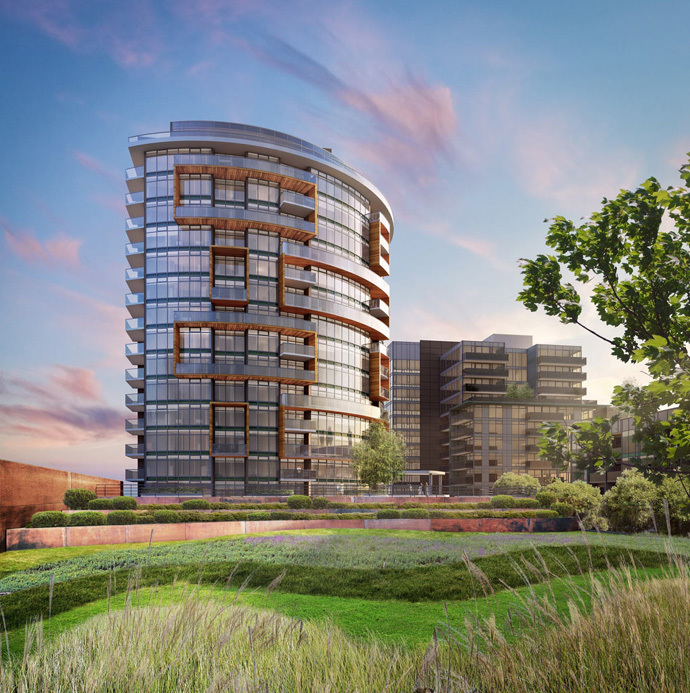 The Westbank Granville at 70th condo tower project will consist of several phases and segments to the property that includes four major buildings. The first is a spectacular 19 storey residential condo tower while the second is a fourteen storey residential mid-rise offering boutique Vancouver condos for sale. In addition there is a 7 storey slab residential building that will offer thirteen Granville at 70th Vancouver Townhouses for sale by Westbank Project Corp that will have ground level entry. On the street level is retail space as well. On top are boutique Vancouver Granville & 70th condos as well as an amenity space that covers the roof top terrace. In addition to these 3 buildings, the fourth is the one storey boutique Safeway grocery store. The project of this magnitude will add over 380,000 square feet of retail, commercial and residential space to the West Side Vancouver real estate district. In addition, the buildings will be designed by world renowned Henriquez Partners Architects and the estimated completion date is for February 2014. Homebuyers can only expect premium features and finishes for the interiors of the spectacular Westbank Granville & 70th Vancouver condos and townhouses. The state of the art design as well as top of the line Miele and Sub-Zero appliances start it off. There are premium Kohler hardware, beautiful hardwood flooring and even air conditioning standard in every suite. As the landmark towers at Granville & 70th Vancouver condos are the tallest in the area, home owners will also enjoy fabulous views in all directions. Granville & 70th is by Westbank Project Corp. The central location of the new Westbank Project Corp Vancouver West Side real estate development is impeccable. Recreational options include the Southlands area and Equestrian Clubs in addition to golf courses, tennis courts, beautiful natural parks and lush forests. Just a ten or fifteen minute drive in any direction will take you to bustling city life or rural lifestyle. From beaches to parks and from nature to community centres, the new West Side Vancouver condos at Granville & 70th will be very close to everything you want to experience in this beautiful city that is ranked as one of the top most liveable cities in the world consistently. One of the most important factors when it comes to home buying is location and proximity to public/local transit. Here at the new Westbank Granville at 70th Vancouver condos and townhouses, you will be very close to YVR International Airport in Richmond in addition to the Canada Line SkyTrain station that will get you to downtown Vancouver or Richmond and many major bus routes. Also, the Granville at 70th Vancouver West Side real estate project will be within biking distance to over four hundred kilometres of biking trails for you to enjoy year round! Also, from South Granville to Granville Island and from the sports venues to the Vancouver Art Gallery, residents at the Westbank Granville at 70th Vancouver West Side condos and townhomes will be within reach of the city’s most exciting things to do. Shopping is also nearby with South Granville, Kits, West 4th, Oakridge Centre, Richmond mega shopping malls and night markets within 15 minutes of your front door! For homebuyers with children, the new West Side Vancouver condos will be close to top ranked private schools, UBC and Langara College.